Star India wins broadcasting rights for IPL for next 5 years on 4th September 2017 with a whopping bid of 16,347.50 crore. With that announcement, it's time for the lunch interval. We will be back shortly as soon as the proceedings resume. BCCI CEO Rahul Johri has listed out the names eligible for the bids. For TV rights, Star and Sony Pictures Network are strong candidates. For digital rights, Times Internet, Reliance Jio, Airtel and Facebook have emerged as contenders. There are predictions that BCCI could be richer by more than Rs 20,000 crore through their earnings from the rights. 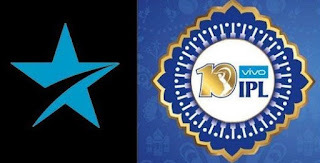 The BCCI CEO Rahul Johri has said that the revenue generation from the upcoming IPL media rights auction could be "historic", considering the huge interest shown by various stakeholders.